The Farm-to-Table concept has been around for quite some time. This movement started from the late 90s and has seen a rapid growth in the 2000s. With more and more famous and established restaurants adopting the practice. It incorporates the idea of “food traceability” or knowing where your food comes from. Often, restaurants partner with local farmers and fishermen to source their ingredients. The movement has helped sustain and promote local livelihood in many areas. 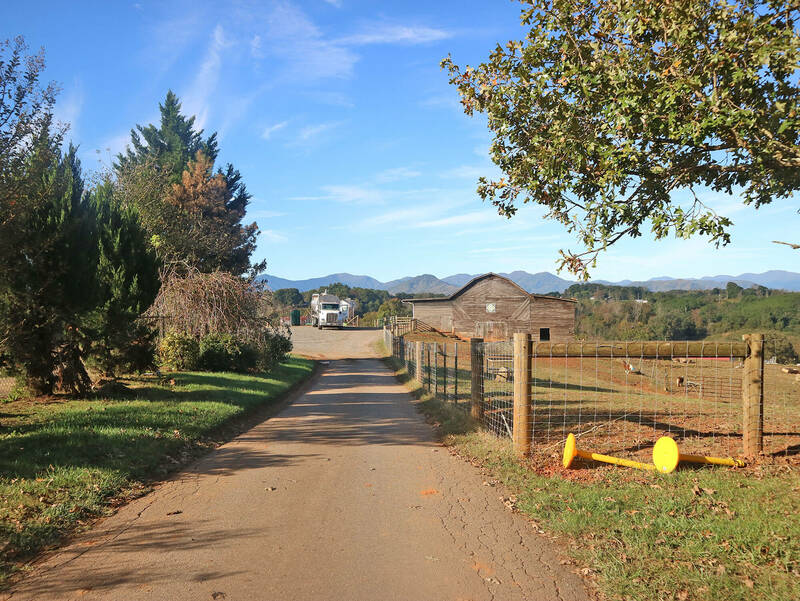 During our stay in Asheville, we had the chance to join the Asheville Farm to Table Food Tours. It was one of my favorite trips in Asheville, to be honest. Not only because of the great food but we also got the chance visit and learn the behind the scenes of a farmer’s life. We started our day by meeting Ann, our lovely guide. 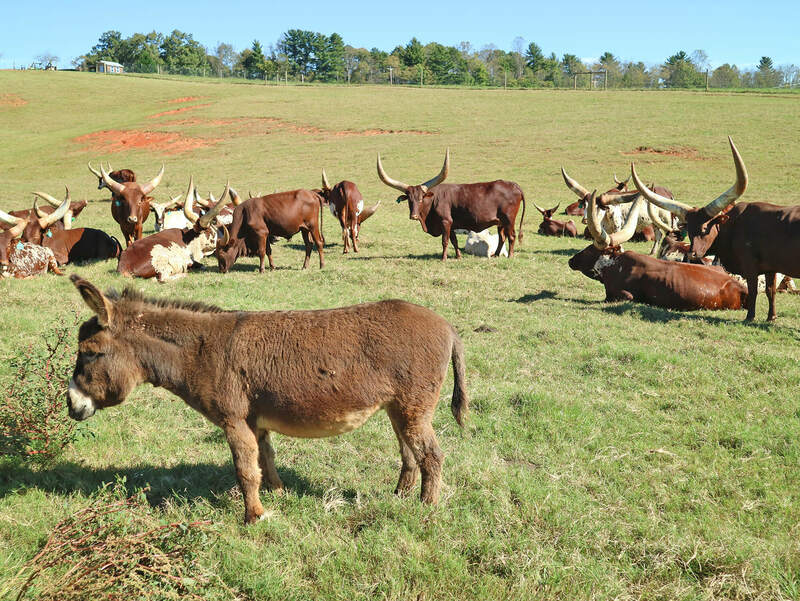 A lot of people said that Asheville has incredible farms. But it might be hard to schedule individual visits to each of these farms. 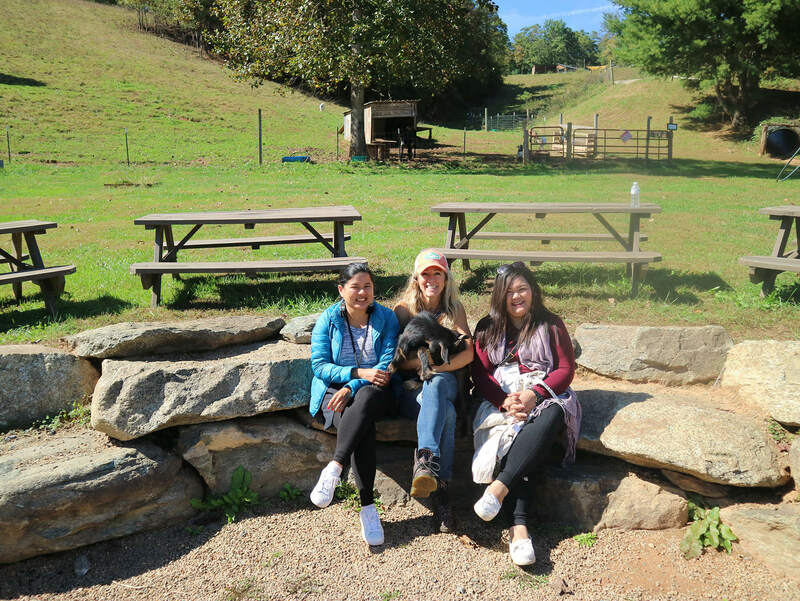 When I saw the Asheville Farm to Table Food Tours, I definitely told Tina that this was going to be part of our itinerary. Our first stop was at the Carolina Bison Farm & Dr. King’s Meat Sales in Leicester. It is owned and managed by Dr. Frank King and his family. The farm has been through four generations of Dr. King’s family. And continues to thrive up to this day. 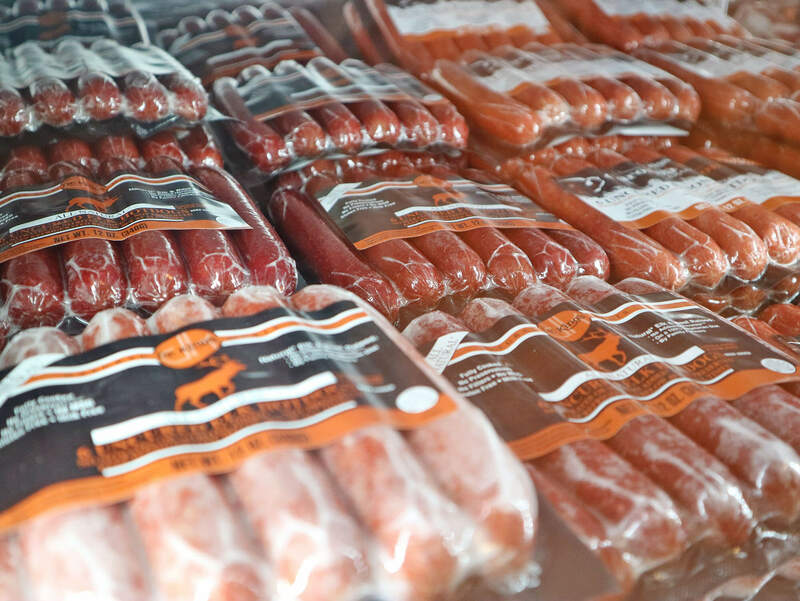 Not only do they grow Bison in the farm, they also sell Bison meat and supply other restaurants. 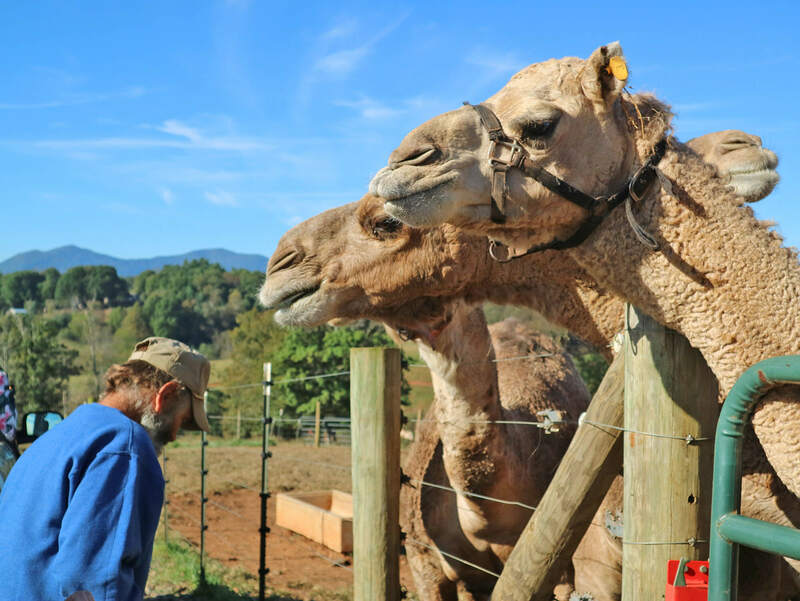 As for Tina, it was her first time to interact with Camels so she enjoyed feeding them so much. We also got to interview to the caretaker of the farm and the animals, farmer Bill. 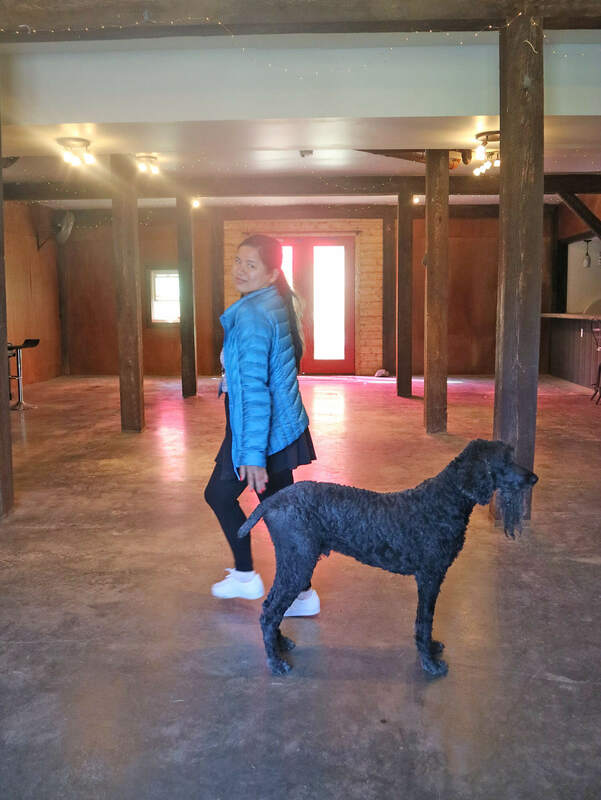 Our next stop (and absolutely my favorite stop) was at a farm owned by an extraordinary woman – Franny. 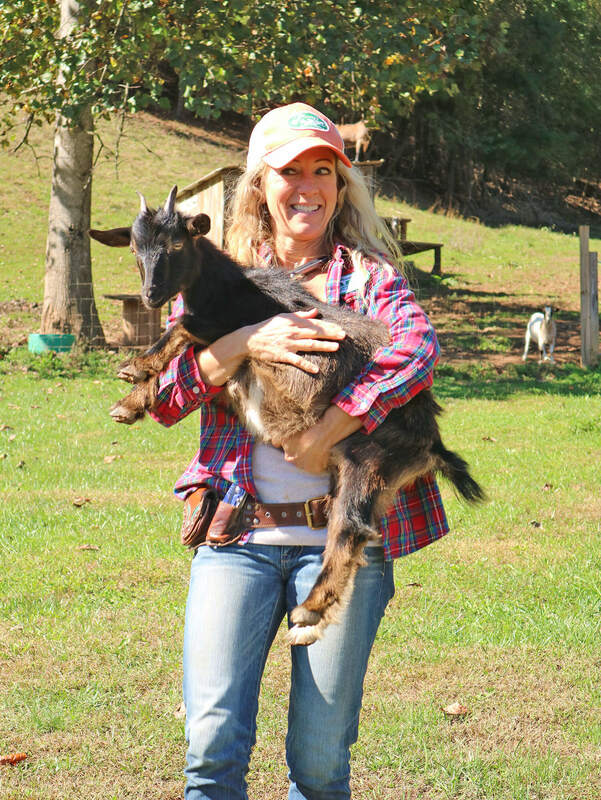 She promotes sustainable farming and believes that quality is always better than quantity when it comes to her passion.She is an amazing character and does a lot to help the farming community. Her family was equally amazing as well. As its name suggests, this area is where Franny grows most of their produce. Marvel through raised beds and rows of organically grown vegetables, herbs, and even edible flowers. 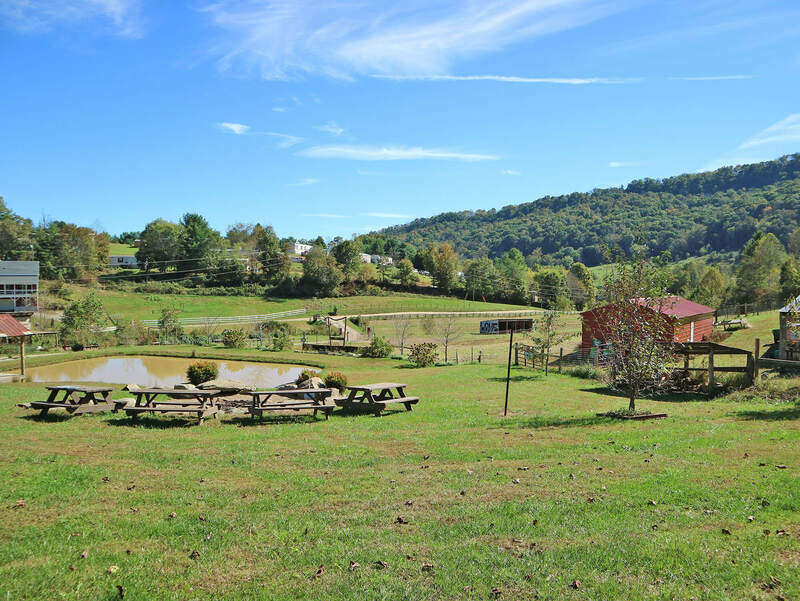 The nearby Farm Store, which is also part of the Edible Garden sells fresh eggs, honey, poultry, and seasonal goodies harvested from the farm. This area is actually off limits for visitors. Since this is where they store their farming tools and other things used in the farm. However, visitors are always free to sit under the shade of the overhang of the muscadine grape vines on the fence or see some edible flowers. Visitors are encouraged to get grounded and take off their shoes in this part of the farm. Feel the texture and the moisture of the soil on your feet. And have the time to just breathe, relax, and ponder. The idea for this area is said to come from Franny’s dream. Wherein she was painting and all of a sudden her friends showed up. And they all played and sang music together as the animals listened and gathered around them. This area is the most picture-worthy area in the farm. That’s if you are looking for that Instagram photo your followers will surely envy. Just don’t forget the hashtag #LoveBarn and tag @frannysfarm! As part of their advocacy to promote sustainable farming and organic farming movement, Franny’s Farm has their own compost area. It is one of the best recycling program in existence and creates healthy soil in the process. Franny has a degree in Forestry and advocates the use of composting. The Barn is not actually the “barn” that you might be thinking. It was the name given to the function area in the farm where you can have your events, business meetings, party, or even wedding reception. 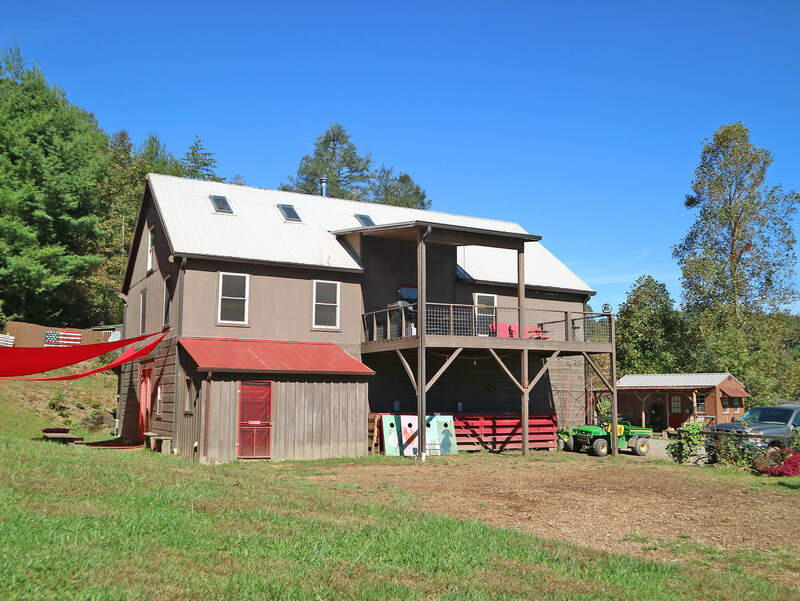 The Barn House is a custom built and designed to give the ultimate and most interactive experience in your stay at the farm. It is surrounded by the best views of the farm and is just around 20 minutes of drive away from the city center. As for us, we setup a picnic lunch at the back of the house. 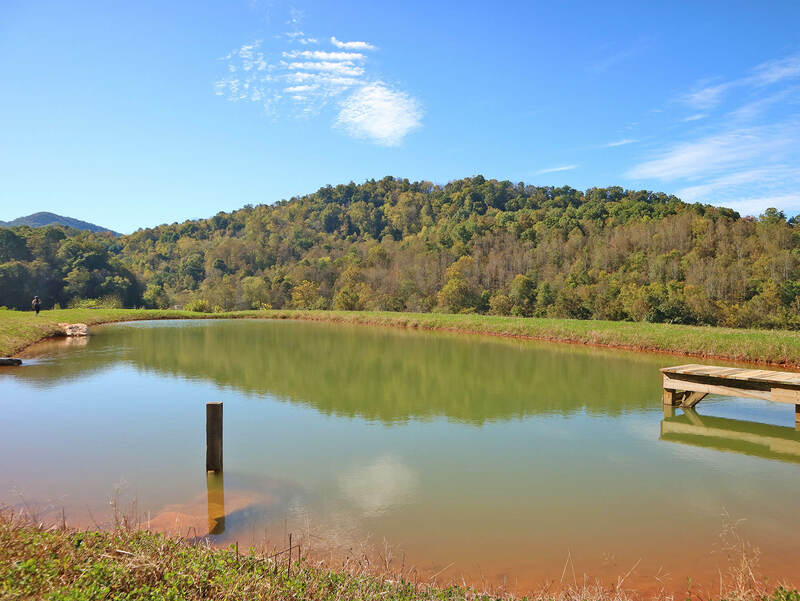 This amazing farm wouldn’t be complete without the fresh waters of the pond. There is no place better than under the shade of the dock to play with the water or look for tadpoles, frogs, and fish. Enjoy the serenity of the place as the sounds you will only hear are the sounds of birds and the rustling of the winds. This garden was made in honor of the late Frank Scott Harris – Franny’s Father. This is another garden in honor of the memory of Patty “Peace” Macomb who actually made the area. She strongly believes in her message that “Peace is the Way”. Franny’s family hosts weddings and reception in the area. The farm also doubles as an events place and this one is something I would really love to rent or visit again in the future. Our last stop was in a flower garden which grows all this amazing and beautiful varieties of flowers. Although the farm was at the tail end for their season, we still saw a lot of interesting things. They even taught us the most efficient way to plant and the practices related to it. 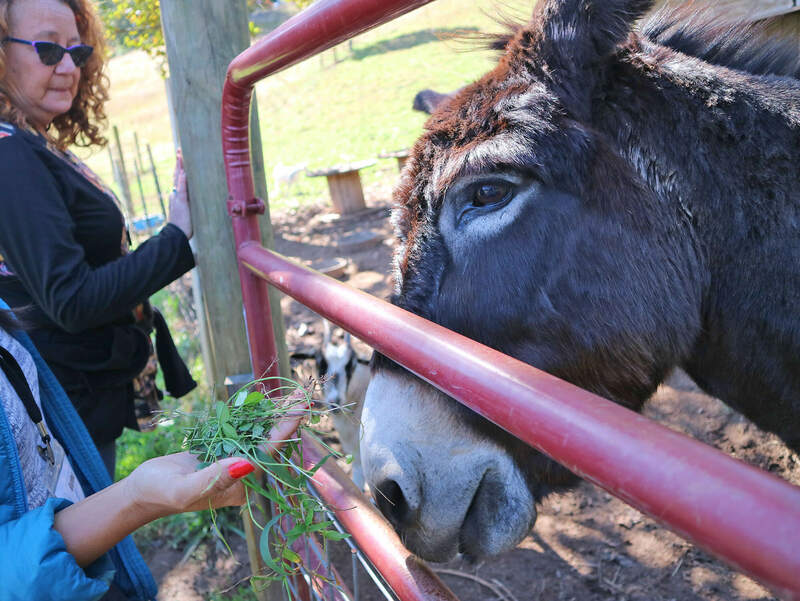 Another highlight of Asheville Farm To Table Tours is the delicious food served. To our surprise, our guide Ann personally cooked lunch for us that day. Needless to say, all the ingredients are fresh from the farms we just have been to. 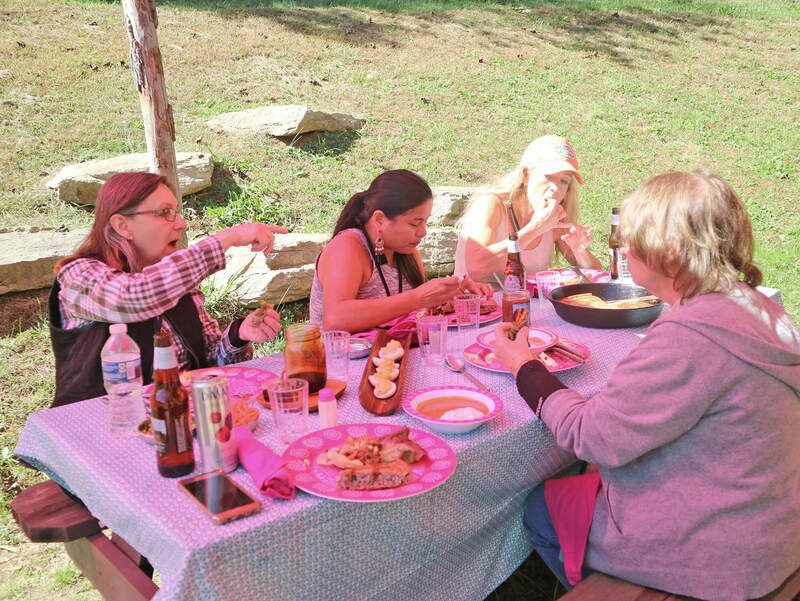 We setup a mini picnic and had our feast over the delightful dishes that Ann prepared. I absolutely enjoyed the Asian Lettuce Wrap from Highgate farm with Carolina Bison Meat with Hoisin and Soy Sauce. As well as the Fresh Devilled Eggs! 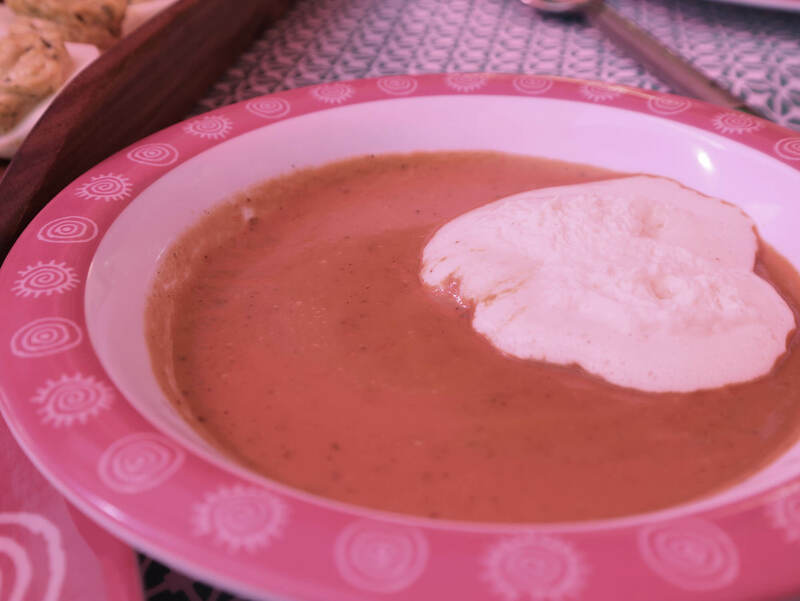 Ann also served Long Valley Farm Roasted Butternut Squash Soup. 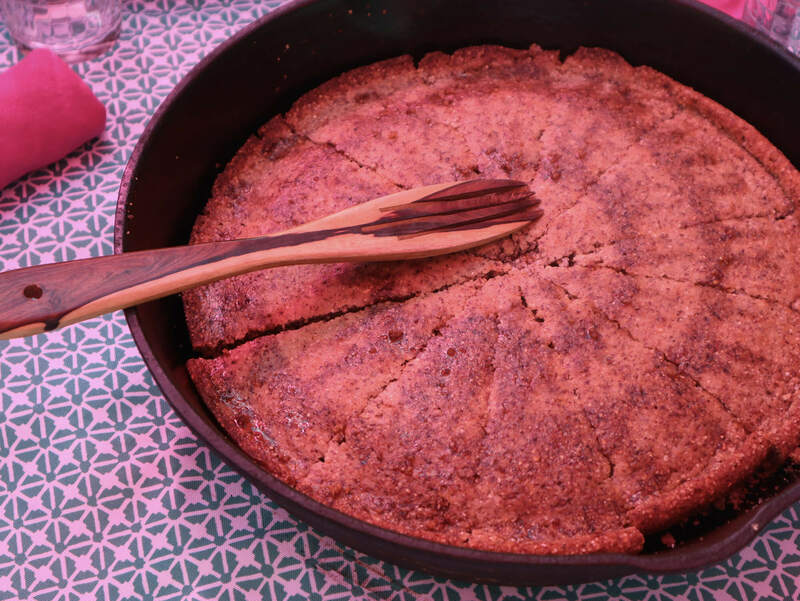 Another thing that I have never had before which I enjoyed was the Appalachian Cornbread,East Fork Farm Milled Bloody Butcher Cornmeal Drizzled with Madison County Sorghum. The Mint-infused Iced Water we had for our drink was really refreshing. And cleans the palate well so your tongue can taste all the decadent flavors of the next dish. All in all the food we had was just beautiful! Thanks Ann! Asheville Farm To Table Tours was, in every aspect, incredible. Tina and I fell in love with the city more and we really felt that Asheville is a city we can move in to. I mean, it’s a small town but you have everything from hip bars, great food, nature, to beautiful farms at your disposal. It’s an Asheville Food Tour experience like no other. 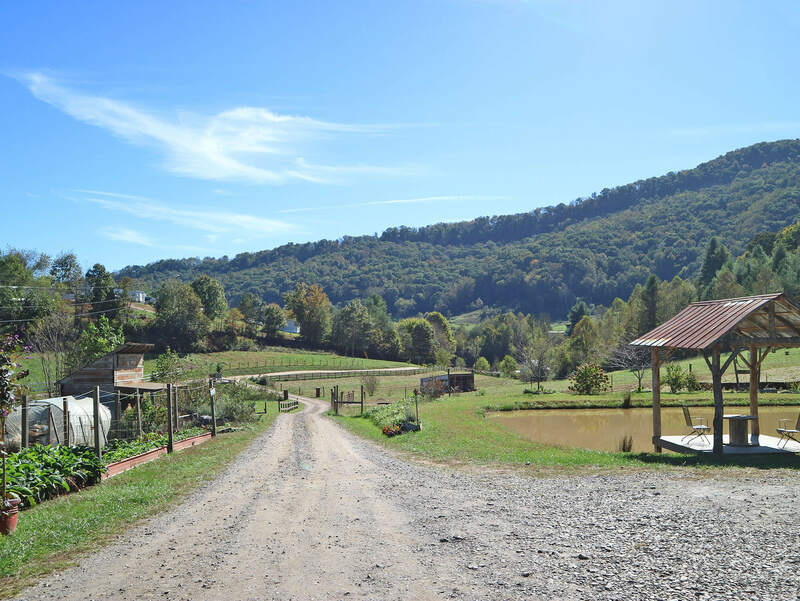 Ann’s Asheville Farm To Table Tours definitely opened our eyes about farming and made us feel closer to it. The tour was unlike other farms we visited before. Where visitors are only limited to viewing and petting the animals. She runs different tours every day, which is great since you can visit different farms from the ones you already had. She contacts the farms herself and the owners are the ones who gives us the tour – usually they won’t let you or will be hard to do just by yourself. Given the chance, I would love to do something like this again. We’ve never been more up close and personal to all these farm animals and farming stuff before. And we’ve truly felt much closer to nature after this. We learned about the hard work, passion, and dedication that goes into farming. And had a newfound appreciation of it.